Invisalign is the clear alternative to traditional metal braces, and while parents of teenagers are very familiar with the benefits of BPA-free plastic aligners, most aren’t aware that Invisalign isn’t just for adolescents. Anyone’s teeth can be straightened with a custom-created Invisalign program by our team of experts at Port Coquitlam and Richmond orthodontist practice HGS Ortho. 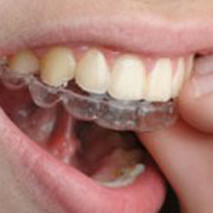 Invisalign aligners are completely clear and embarrassment- and hassle-free. To be effective, your orthodontist at HGS Ortho recommends that you wear the aligners 20-22 hours daily and only remove them for meals and oral health practices (brushing, flossing, etc.). After the initial consultation, the orthodontic specialists at Richmond and Port Coquitlam orthodontic clinic, HGS Ortho, will create a set of custom aligners for you which will gradually shift your teeth. You will receive a new pair of aligners every couple of weeks to continue treatment and you must schedule a check-up with the our team every six weeks to ensure your teeth are straightening properly. Treatment typically lasts about a year for adults, so call us today to book an appointment at HGS Ortho and get the straightest smile of your life!